These pages set out the policies, procedures and quality standards for the provision of Mountain Training UK’s Coaching Scheme training and assessment courses. It forms an integral part of the MTUK Coaching Provider Agreement. Mountain Training UK’s role is to provide schemes of training and assessment for leaders, instructors and coaches of groups participating in mountaineering and related activities, to offer advice and to promote good practice among the mountaineering community. 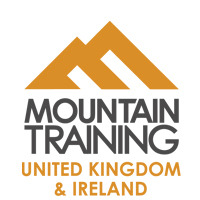 Mountain Training UK is recognised by the Department for Education and Skills (DfES) and its schemes of training and assessment are approved by the Adventure Activities Licensing Service (AALS). Mountain Training UK believes that it is implicit in any national training scheme that a system for maintaining standards is in place to ensure quality of provision. Communications are maintained with course providers and staff of Mountain Training UK qualifications via moderation visits, email/telephone and during attendance at seminars, workshops and conferences. The Coaching Provider Quality Manual comprises three sections: policies, procedures and quality standards. Providers are required to operate according to these jointly agreed components and should therefore be familiar with the entire content of the manual. Additional information is contained within the Coaching Scheme Handbook, and on Mountain Training’s website. Providers should refer to these resources regularly. Note: In this document we refer to ‘dual providers’ – these are providers that are approved by more than one national Mountain Training organisation to deliver multiple schemes. Dual providers should comply with the safeguarding policy of their associated national Mountain Training organisation. Coaching Scheme only providers should comply with the policy of either, MTE (for operating predominantly in England and Wales), MTS (for operating in Scotland), or MTBI (for operating on the island of Ireland). Coaching Scheme providers and course directors are ambassadors for Mountain Training, and as such should keep up to date with news and changes. To support providers in this role, regular dialogue with Mountain Training is encouraged. All communication with the public should follow the Branding and Marketing guidelines. Pre-course communication with candidates will outline the scope of the qualification within the Mountain Training pathway, registration process, prerequisites, joining instructions and course program. Providers should review their promotional material regularly to ensure it reflects current syllabi and guidance. Mountain Training’s website is a definitive resource for all scheme information. To avoid candidates booking onto a course for which they are either not registered or is inappropriate for their needs, providers must ensure potential candidates receive relevant scheme information before accepting their booking. This information should remind candidates of the registration process and minimum requirements for course attendance. Once the booking is confirmed, providers must add candidates to their course on CMS in advance of the course beginning. Joining instructions and a course programme should also be sent to candidates. Mountain Training has model templates for providers to use. Providers should follow the guidelines outlined in CMS and Course Reporting. These are generic guidelines that cover all Mountain Training qualifications, however there is one notable exception for Coaching Scheme assessment course reporting only – there is no use of the FAIL result. Coaching Scheme assessments include an evaluation of the candidate’s coaching experience (DLOG review) and review of a number of written tasks that may include some or all of the following; lesson plans, structured session planning and written paper. These elements of the assessment must be satisfactorily completed and approved by the provider before candidates may attend the practical assessment session. This should be made clear to candidates at the time of booking and providers are not able to take last minute assessment bookings for this reason. Given the above, a candidate who performs below the required standard during the practical assessment can be deferred on this element only. However, the advice to a candidate before returning for a reassessment may include gaining further or different coaching experience, as it is likely that the quality of the experience gained thus far has been poor. A candidate returning for reassessment may also need to complete additional lesson/session plans that relate to the new assessment and so the same process outlined above applies. In other words a Coaching Scheme reassessment is normally identical to the first assessment. Most Coaching Scheme courses will be non-residential, taking place at a public climbing wall. Climbing walls should ideally have a variety of surfaces; enough room to facilitate observation and group feedback and a suitable range of routes and problems to structure a progression. There should also be proper lecture facilities for theory sessions and adequate ‘comfort’ facilities. If a course needs to be run at a climbing wall that only has public areas available for lectures, briefings/debriefings it is the provider’s responsibility to manage this appropriately. It is vital this does not compromise the quality of the course. Providers who choose to operate from a different residential base or climbing wall to those in their application for approval must ensure the new venue meets the same high standards. Coaching Scheme courses may also be residential, based at a suitable venue, which must have adequate accommodation, amenities, lecture facilities as well as meeting the climbing wall requirements above. Most Coaching Scheme courses will take place at indoor walls, but the scope of the scheme extends to any outdoor environment that the coach is suitably experienced and/or qualified to operate in. Outdoor venues may therefore be used for all or part of the course and these should be well known to the provider to ensure they meet the needs of the course, with enough suitable routes and problems to structure a progression. Nearby access to a climbing wall as a wet weather alternative is essential. Providers need to remember that they are responsible for the safety of all candidates at all times, regardless of the candidates’ previous experience or qualifications. Training and assessment courses must be separately identifiable and not 'hidden' within a longer scheme of training and assessment such as a twelve month college course. Larger courses improve exchange of information and ensure a wide range of views and experiences. Course providers are encouraged to recruit assistance from specialist experts or the support of a second member of staff. Team teaching is valuable for the development of providers and future providers alike. The course director must still attend the whole course and cannot deputise to an assistant to cover their absence unless it is an approved, named Coaching Scheme course director. Mountain Training requires all Coaching Scheme courses to be staffed and delivered following the guidance set out below. Foundation Coach training courses consist of a minimum of eight hours contact time with course staff and may be delivered in a variety of formats. Training courses may be delivered over a number of evenings/sessions to fit with climbing clubs and coaching academies. Maximum provider to candidate ratio is 1:12. Minimum group size for Foundation Coach training is 4 candidates. In exceptional circumstances smaller courses may run, but providers must contact Mountain Training to discuss this in advance of the course running, and must ensure that this does not adversely affect the quality of the course. It is the responsibility of the provider to ensure that all supporting staff have appropriate levels of skill and experience. Foundation Coach assessment courses consist of a thorough review of the candidate’s logged coaching experience and an evaluation of a number of prepared lesson plans (see additional information below), followed by an assessment of a practical coaching session that focuses on one of the FUNdamental climbing techniques. Candidates must share their digital logbook with the assessor prior to booking onto a course. Candidates who do not demonstrate appropriate coaching experience and/or do not have lesson plans that meet the required standard, will not be able to proceed to the practical assessment. For this reason providers are not in a position to take last minute assessment bookings. Maximum assessor to candidate ratio is 1:1. The provider will arrange for a small group of climbers (min. 3, max. 6) to be coached during the practical assessment or may ask the candidate to arrange this. This may be a group that the candidate is currently coaching or one they have brought together for the assessment. Either way, a coaching session based on a FUNdamental climbing technique (see additional information below) will be required, which is why novice climbers will be more appropriate than advanced climbers. It is the responsibility of the provider or course director to ensure the safety and welfare of all candidates and climbers during the practical elements of a Foundation Coach assessment course. As a minimum, Foundation Coach candidates should be confident in running effective and engaging coaching sessions on all of the topics above. Candidates who wish to select a different topic or technique to coach should discuss this with the provider in advance of the practical assessment. Candidates should record a variety of coaching sessions in DLOG remembering that quality is as important as quantity. For example, entering a regular NICAS session using the ‘weekly’ frequency option will reflect volume, but there is limited value in identical entries, so some of them should be edited to add specific details from the session. A minimum of 15 logged coaching sessions since completing Foundation Coach training is expected, and may include roped climbing as well as bouldering both indoors and outdoors. These sessions should focus on delivery of the FUNdamental climbing techniques. Reflective comments must be added for at least 5 entries in the ‘description’ tab. These comments should go beyond simply what was done to include an evaluation of the success of a session measured against the aims, as well as ideas about progressions for the climbers, improvements in delivery, and what was learned as a coach. Used in this way DLOG can become a diary of coaching development, and a valuable mechanism through which providers and other experienced coaches can give feedback. Encourage candidates to tick the ‘flagged’ box to draw attention to the most relevant entries. There are many coaching session lesson plan templates available and candidates should experiment with various formats to develop their own preferred style. As a minimum it should include; topic/technique, aims/learning outcomes, lesson structure with timings, venue and climber information, and reflective observations (see above). For Foundation Coach assessment lesson plan topics should focus on FUNdamental climbing techniques. The provider will make it clear how many are required and they should be uploaded as files in DLOG. Development Coach training courses consist of a minimum of sixteen hours contact time with course staff and are usually run over two days, with evening sessions if required. Maximum provider to candidate ratio is 1:10. Minimum group size for Development Coach training is 4 candidates. In exceptional circumstances smaller courses may run, but providers must contact Mountain Training to discuss this in advance of the course running and must ensure that this does not adversely affect the quality of the course. Development Coach assessment consists of a thorough review of the candidate’s logged coaching experience, an evaluation of session planning with structured progression over a number of sessions (see additional information below) and a written paper, followed by a final practical assessment. The supporting evidence must be made available to the assessor at least four weeks before the practical assessment date – this can be achieved by booking the candidate onto a course on CMS or asking them to share their DLOG with you. The practical assessment requires a minimum of four hours contact time and will include two coaching sessions; one with the candidates’ own long term climbers and one with unknown climbers. The coaching group will normally consist of two experienced climbers who may be at different levels but make a typical improver coaching group. The content of the coaching session should be appropriate to the individual climbers and could incorporate any aspect of climbing technique (see Additional Information for Development Coaches below). The exact format and timings for the assessment will be outlined by the provider. It is common for two candidates to be invited for assessment on the same day. This way the candidates can coach their own clients and then swap clients to fulfil the two practical coaching sessions. Depending on how the provider manages the schedule, the assessment may take up a full day. When assessing one candidate, a second pair of climbers should be made available by the provider for the coaching session with unknown climbers. It is the responsibility of the provider or course director to ensure the safety and welfare of all candidates and students during the practical elements of the Development Coach assessment. There is not a prescriptive list of topics/techniques to be assessed at Development Coach level, rather, candidates should be confident in the delivery of progressive coaching sessions to intermediate or improver climbers that could include technical, tactical, physiological or psychological topics. Candidates preparing for Development Coach assessment should have extensive experience of delivering progressive coaching sessions to improving climbers. A minimum of 40 logged coaching sessions since completing Development Coach training is expected and may include roped climbing as well as bouldering both indoors and outdoors. These sessions should demonstrate progression and development over a number of weeks. Reflective comments must be added for at least 10 entries in the ‘description’ tab. These comments should include an evaluation of the session and demonstrate a sophisticated understanding of the coaching process. Used in this way DLOG can demonstrate progress in a candidate’s coaching development, and be a valuable mechanism through which providers and other experienced coaches can give feedback. Encourage candidates to tick the ‘flagged’ box to draw attention to the most relevant entries. In addition to recording coaching sessions in DLOG, written session plans allow candidates to evidence development in the quality of their coaching. These may take a similar form to the lesson plans used by Foundation Coaches, but would demonstrate progression over a number of sessions, as well as in-depth reflective observations that demonstrate coaching development. This information should be uploaded as files in DLOG, along with other supporting evidence such as examples of written training programmes. The Performance Coach qualification is currently under development; a pilot cohort has completed the training with plans to complete pilot assessments in 2019. Registration requirements are to be developed in 2019 with plans to open up the first round of courses to candidates in 2020. All Performance Coach providers must have obtained approval from Mountain Training UK. All Performance Coach providers must have attended a specific Mountain Training UK induction event prior to running any elements of the Performance Coach scheme. In the Coaching Scheme, the first part of the assessment consists of a thorough review of the candidate’s logged coaching experience as well as an evaluation of a lesson plan (Foundation Coach) or session planning with structured progression (Development Coach). A candidate who has not successfully completed these elements to the required standard can not proceed to the practical assessment. During the practical assessment, where a candidate does not meet the required standard, they may be deferred to a later assessment date, in order to complete the practical assessment again. There are no part-deferrals of the practical coaching sessions. In the case of a deferral, candidates are encouraged to return to the original assessment provider but can be reassessed by any Coaching Scheme provider approved by Mountain Training UK. To record the result in the Candidate Management System (CMS) please refer to CMS and Course Reporting. Mountain Training recognises the vital contribution made by providers, directors and course staff to maintain the high regard in which Mountain Training's schemes are held. Providers, directors and course staff have the discretion to adjust training and assessment methodology to enable candidates to perform to the best of their ability. Mountain Training encourages discussion of such adjustments in advance.